In 1995, a team of young engineers at Cirrus Research set to work on revolutionising the design and functionality of noise dosimeters. 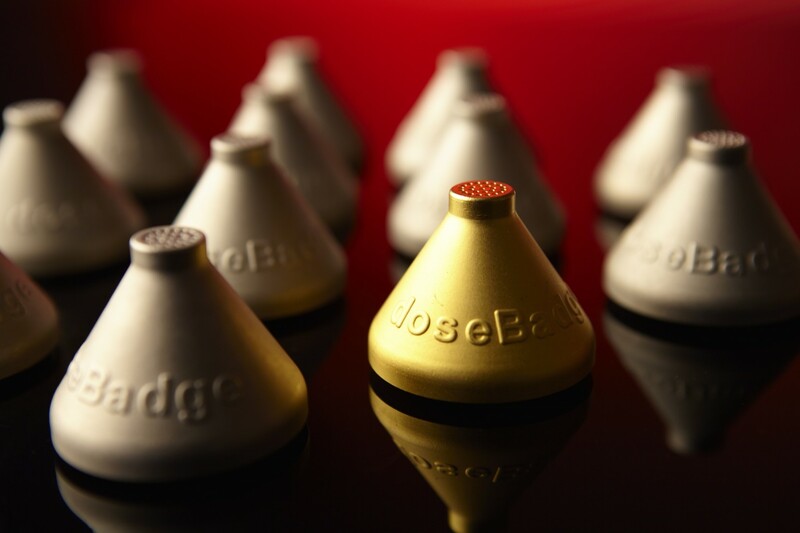 Their hard work and tireless dedication to the protection of people’s hearing led them to design the doseBadge, which has now become synonymous with personal noise exposure measurement. The process of designing the doseBadge wasn’t easy or without challenge, as the Cirrus engineers had to develop something that recorded all the necessary data, whilst ensuring that the person wearing the equipment wasn’t disturbed, and that the equipment itself complied with the Noise At Work regulations, in addition to being low cost, reliable, lightweight, tamper-proof and compliant with the acoustic standard. Some may have thought “why bother?”, but there was a recognition within the Cirrus team that dosimeters, at the time were very unreliable, cumbersome, liable to tampering and potentially dangerous, as the microphone cable could easily have been caught in heavy industrial machinery, causing serious injuries to those wearing them. In order to buck the trend and succeed where previous attempts had failed, the team at Cirrus decided that their new dosimeter would have no user controls or displays, and would feature an internal microphone to eliminate the risk posed to wearers of the equipment. In addition to this, their new dosimeter would have an internal rechargeable battery that could last in excess of eight hours, to ensure that long periods of data could be recorded without interruption. This along with the absence of a screen or any controls, would mean that the data recorded was more accurate than that captured by other equipment at the time. Cirrus’ new dosimeter would also incorporate wireless technology, so that any data could be transferred from the device with absolute ease. 1996 saw the release of the very first wireless dosimeter, the doseBadge. The original casing was crafted from solid aluminium, which meant that it was robust enough to be worn in some of the toughest environments, including on oil rigs, in mine shafts and potentially in war zones. The iconic cone of the first doseBadge made a return in 1998 when the MK II was released, with improved battery and microphone performance and things didn’t stop there. 2002 saw the MK III arrival with new features, including the ability for it to be configured to different international regulations, cementing the doseBadge as a global solution to business’ personal noise exposure measuring requirements. One of the biggest advancements to Cirrus’ innovative dosimeter came in 2007 with the Mark IV as it was granted Intrinsically Safe approval. The gold plating means that the MK IV is safe to use in potentially explosive environments, such as mines and oil rings, without the risk of the equipment causing any sparks. Most recently, the MK V was launched in 2016 with a brand new design and Bluetooth connectivity, taking its technological advances even further. The doseBadge has set a precedent all over the world for noise dosimeters and most other designs are inspired by the work and efforts of the Cirrus team some 23 years on. The doseBadge continues to be an invaluable tool for those measuring personal noise exposure; its durability, reliability and Cirrus name mean that it can be trusted to provide accurate measurements, which can help people from all industries take steps to protect people’s hearing. Cirrus’ passion and drive to ensure that people can continue to hear the birds singing, their grandchildren laugh and their partner say “I love you”, can be found in each and every product we make. OHD is proud to be the sole supplier for North America for all of Cirrus' outstanding noise protection products. To find out more about the range of doseBadges we have to offer or to see which doseBadge is best suited to your needs, head over to our website. You can also check out our new video HERE, which showcases key highlights and benefits of the doseBadge5.